D’Arcy McGee Tours can design, and deliver tailor- made packages for groups of 6 or more students, academics or the curious cultural tourist, on request. 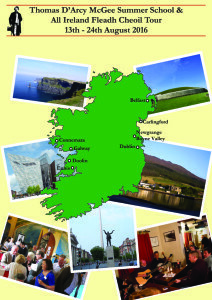 Programmes include visits to major cultural venues such as the Titanic Exhibition, Belfast, Kilmainham Gaol, Dublin, the Boyne Valley and more. Workshops and seminars can delivered by the formeost experts on Irish History, specialising in 19th to 21st century events. Programmes include guided tours to the most relevant sites associated with the period under study. 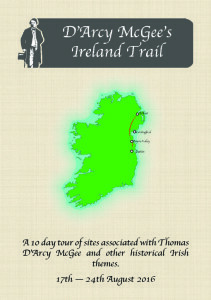 Contact info@thomasdarcymcgee.com to discuss your requirements.